I know who I am and truly believe I have a somewhat grasp on why I am here on earth. My life vision from God involves taking the Gospel to the Nations, discipling others so they can walk as Jesus walked, writing books/music that “hopefully” bring Him great glory. I have a passion to represent His love and power in the earth. I’m a worshipper. I was born to worship Him, to bring Him glory. I wake up early to worship Him and end the day worshipping God. I have a vision of reaching the Nations with His love, His word, and His healing. This vision drives me. And His great love. The book blog is already reaching over 120 countries with the word. Each day reaching people all over the world. I think of the strong women in the Bible who submitted to God and changed Nations (Deborah, Esther). They obeyed God rather than man. They made their first allegiances to God. That’s my desire. For God to get the greatest glory from my life. He’s first. I think God is good. Don’t you agree? Even God doesn’t treat people like silent partners or sidekicks. He raises His children up to heavenly places and makes them coheirs with Christ. He empowers His children. He gives life, and Jesus laid down His life. Jesus doesn’t abuse, dominate, control, silence, bully, or mistreat His Bride. He loves her, and leads as a servant. You have a purpose and vision too! Even if we don’t have an identical mission; You’ll be a missionary in China. We have the base mission from Jesus. He said: Go into all the world and preach the good news to all creation. We have a base base mission to put God first (not a spouse or family or friend), love God, love ourselves (needed to love the neighbor), love our neighbor as ourselves, make disciples, heal the sick, deliver the oppressed…freely we have received and freely we are to give. So if you’re a follower of Jesus and someone comes along and they have no vision, no desire to do what Jesus said, how can the two of you become one and fulfill a mission together? I lead teams and one rogue team member sets the team off course. There’s tension, disappointment, and frustration. God is not the author of confusion or chaos. Marriage is a covenant. A joining of two lives, bodies, and a knitting together of souls. If there is not shared vision, there is division. So if you’re dating, what’s God’s vision for your Union? How will you fulfill it together? If you’re interested in someone, what’s their vision or calling from God? If you are called to travel the world setting up mission bases and they hate traveling, how’s that going to work? What’s your vision/plan for parenting/discipling or caring for children, caring for the home, finances, giving, serving God, caring for elderly parents, handling conflict? God knows us better than we know ourselves. He knows what we want, what we need, and what we were created for. Truly believe God gives His best to us. No human is perfect, so it’s not about perfection. It’s about God offering what’s a mutual blessing. People keep telling me to settle for okay, good, and some not so good. Yet I know my Father, He’s amazing. He knows me and why I was born. He gives GOOD, excellent gifts. He’s no deadbeat Dad. And if I never marry you will find me blissfully happy dancing before my King because I want Him (God) more than anything. Pray and ask God to send You His very best. Ask Him to prepare you both to be what’s best for the other person. Dive deep into intimacy with God. Let God heal and meet those needs first. And most of all don’t settle for something God wouldn’t be honored to give you. Or marry someone as a project or for their potential (listen to God). This entry was posted in About Jesus, About Life, Devotion and tagged common vision, covenant, dating, Knowing God, marriage, seeking God, union. Bookmark the permalink. Reblogged this on Living Grace. Your post is honest and inspires the pursuit of God first. I hope you don’t mind that I reblogged it. Thank you! God bless you! I don’t mind. Found a few minor typos I corrected. Big Hugs. May your walk with Jesus flourish. He loves you deeply. I am married and what you explain about the process of matching of vision resonates to some degree with my experience. I am however wondering what would be your take on the situation like the one of Hosea and Gomer. Is there room for a situation where one does not understand how the one they are attracted to is God’s best for them? In a sense, a situation where God’s end only unfolds and not necessarily obvious at the onset? Patrick thanks for commenting. I think the case of Hosea & Gomer is one where God was using the life of Hosea as a sign to His people. It’s the exception, not the rule. The Bible is clear when it says, “Don’t be unequally yoked to unbelievers and how can two be joined together lest they agree.” So it’s truly up to that person to follow what God is telling them to do and what’s in His word. I don’t believe we are to take the case of Hosea to mean mean are to seek out women like Gomer. There are too many other scriptures that point to choosing someone who is pursuing a similar vision & pursuing God. I also think in Christian circles there’s over spiritualizing marriage. It’s holy, it’s from God. Yet you also need to take into consideration the practicality too. It takes more than God to join two lives successfully. Example I know of a couple where they both went to church and the man was a believer yet he was spending irresponsibly. 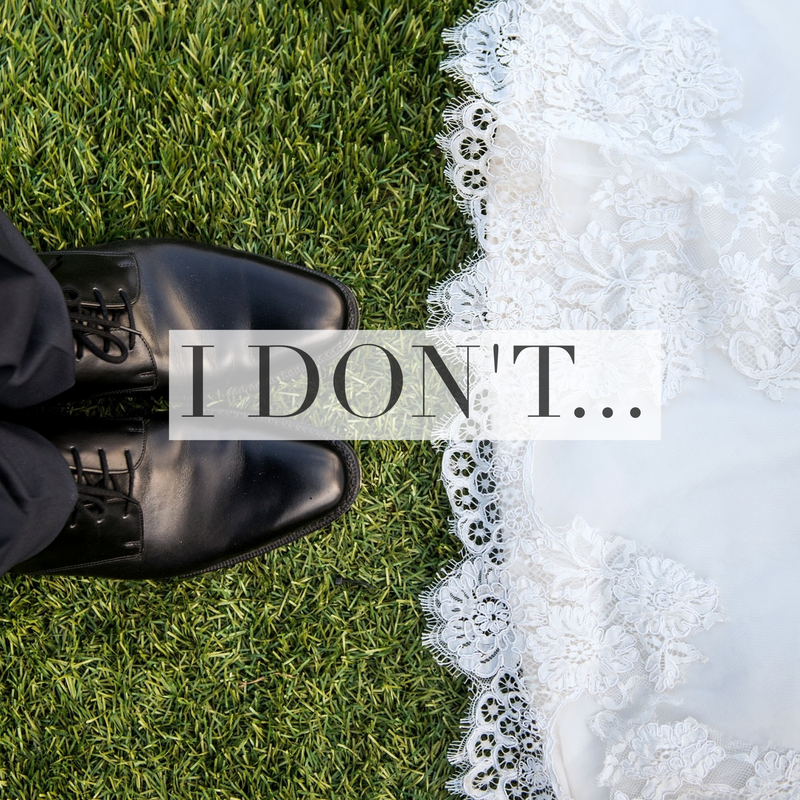 If they had talked about money before “I do” it may have saved them heartache. I think God likes unified vision, not division & confusion. If two people are going two different ways how can they arrive at the same place. God is good. Everything He does brings about eventual good. If God calls someone to a challenging situation, it’s for a greater good. I don’t think He links people who are not going to compliment each other.